Free post. 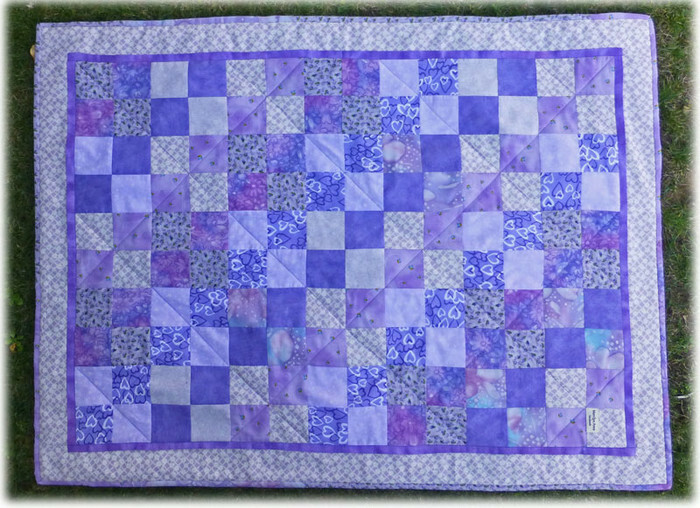 Cot quilt or floor rug in purple tones. Ideal gift for a new baby girl. 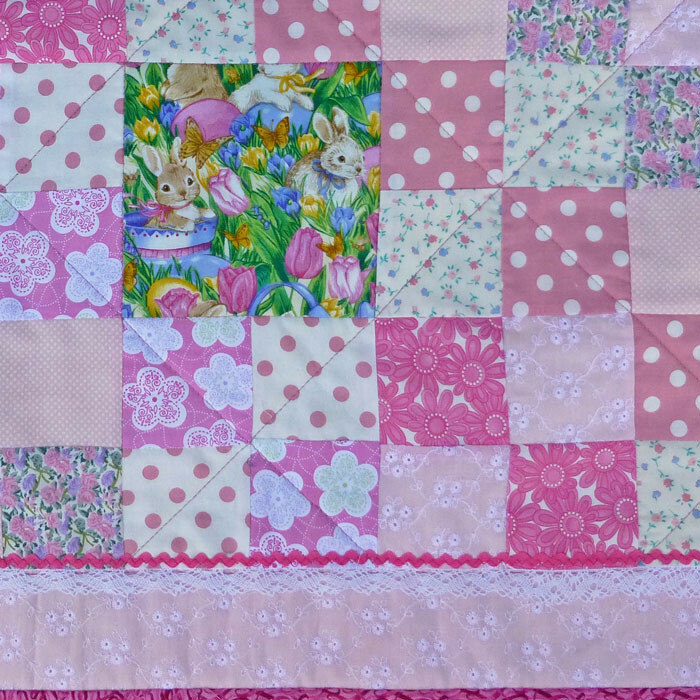 A delightful quilt for the little princess in your life. 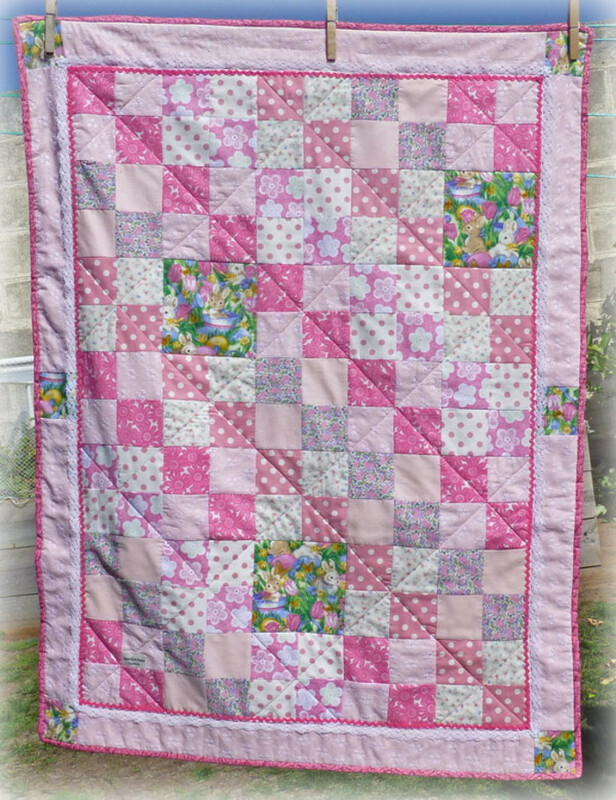 Made from all top quality cotton quilting fabrics. The wadding is light weight cotton. 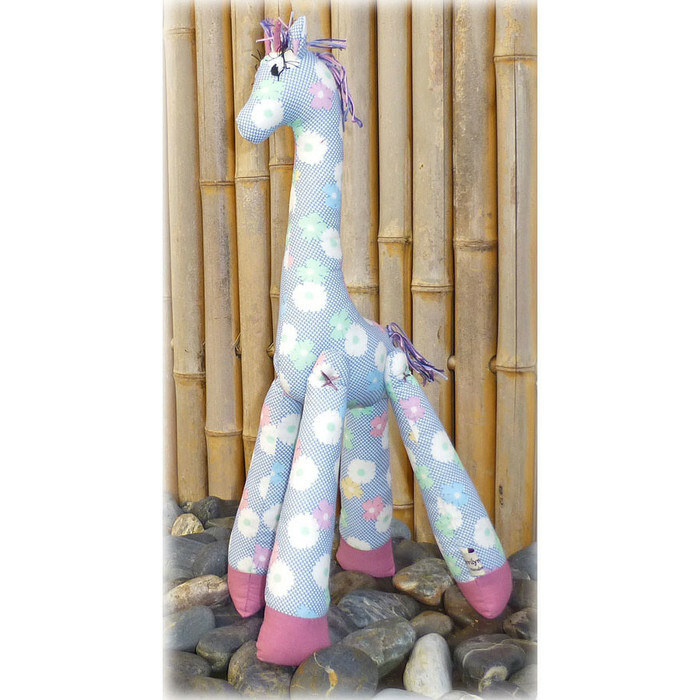 Also available in pink tones (See photo). Custom orders welcome. Please contact me.